I haven’t explored your blog enough to know what, if any, spiritual belief system you ascribe to. So, if I’m out of line here, I apologize in advance. I am not offering this as a way to “convert” you, but as an offering of what came to mind as soon as I saw the quote. Sometime recently, I saw one of those “cute” little pictures with a quote making it’s round on facebook, and it said something about the words Fear Not appearing in the bible 365 times. Indicating that in one of the biggest collections of world wisdom books that exists ~ good for reading and thinking about, even if you don’t ascribe to the belief system, has a daily reminder that we are not to live in fear. Worry is a symptom of fear. Indeed, that is worth remembering, Kina! 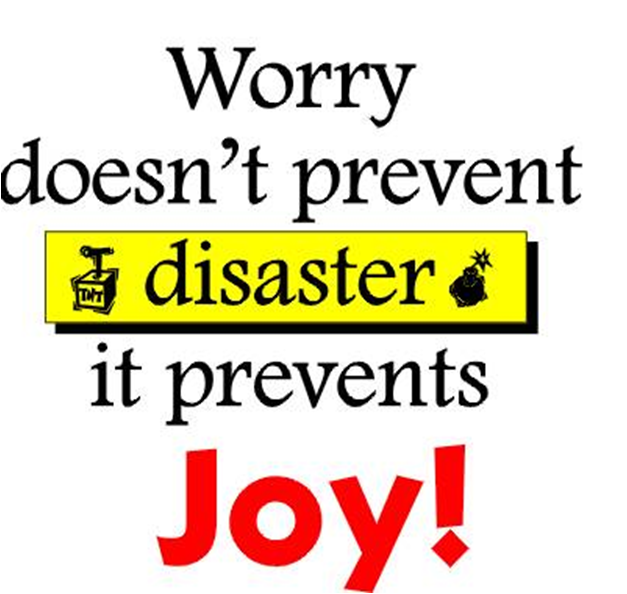 What a great post — I think I could do with a “worry free day” once a year as well! It’s a hard thing to give up. I did all that too, to say the least. For some, it’s a journey to break the chains. Great post, as always! Thank you! Thanks for joining the challenge and for a spot-on post, Jamie! I see that you already have it, but I, too, am nominating you for the Very Inspiring Blogger Award. You know how it works, should you choose to do it again.